Cosmetics are increasingly tending towards being medications, and it can often be hard, even for a professional in the field, to assess the suitability and effectiveness of the range of products and procedures available. This acclaimed fully illustrated and highly readable handbook discusses the main types of treatment available for the skin, hair and nails. It explains how these treatments are used and how they act, including descriptions of the active ingredients involved. Special emphasis is given to preventive measures. 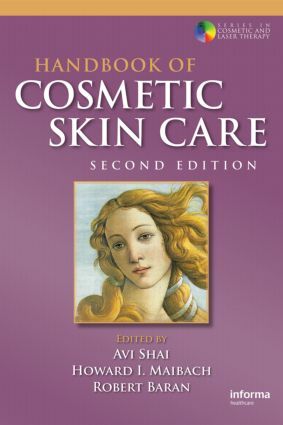 All those wishing to broaden their knowledge of cosmetics and skin care, or those already working in the beauty care and skin care industries, will find this book a clear and simple guide to the medical and scientific aspects of skin, hair and nail care.